If you’re someone who is on the road a lot or works with a team of employees, the thought of taking on a motor fleet may well have crossed your mind. However, it’s quite likely that before you’ve investigated it thoroughly you will have come across a few problems that have led to you to drop the idea. It’s true that there are a lot of myths out there about motor fleets, but you don’t need to believe everything you hear. Here, we dispel some of the biggest myths about motor fleets. It’s true that many large corporate entities use motor fleets, and they often find it very economical to do so; however they’re not the only ones. Motor fleets are also suited for small traders who use just a few commercial vehicles to perform their day to day tasks, as it gives them the flexibility to grow and take on more vehicles as required. Likewise, small businesses can benefit from taking on motor fleets as they are useful for those who want to hold a pool of cars for visiting clients or need to travel a lot for work. Even families have motor fleets these days (usually called family fleets) as they can often save households money. Running a motor fleet does take some work, especially if you’re looking at leasing over 100 cars. However, most fleet providers will offer you some kind of service package which allows you to manage your fleet as you require. Alternatively, many larger companies take on a fleet manager who keeps an eye on things full time. Likewise, setting up a motor fleet can actually be remarkably easy. Whether you go direct to a fleet provider or you decide to create one yourself, car manufacturers are very happy to lend a hand, particularly if it means you’re likely to be a returning customer. Just make sure you take out a good motor fleet insurance policy so you can deal with any problems as they arise. 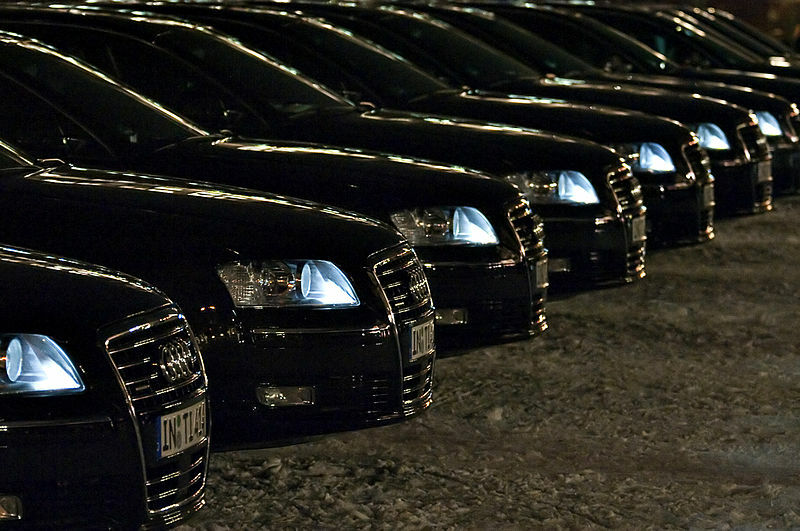 While there is obviously a certain degree of expense associated with purchasing fifty to one-hundred new cars, motor fleets are actually one of the most cost-effective ways of allowing your employees to travel around. As most fleets work on a hire-purchase or operating lease basis they’re a lot cheaper than buying the cars up front. Equally, if you think about the full cost to your business, investing in a fleet of cars can save you money compared to paying for your employees’ public transport expenses. Train fares are currently on the rise in the UK and public transport in general is not very reliable, so having a fleet of cars at your disposal can be the best way of getting your employees around. It’s definitely the case that most motor fleets are made up of new cars, and lease agreements often mean that it’s more economical for businesses to take on newer vehicles; however it’s also quite possible to build up a fleet from used cars. This solution is particularly handy for tradesmen who already own vehicles or need specific types of vehicles in their fleets. Forklifts and articulated lorries don’t come cheap! If you are intending to build up a fleet second hand, you’ll need to make sure that the purchases are made in the name of your business. This allows you to take out an appropriate insurance policy for your employees. The tax on motor fleets is complex and is definitely something that’s worth considering if you’re a higher rate corporation tax payer. There has recently been a shift away from taxation based on expense, and it’s no longer true that ‘expensive’ cars (usually those over £12,000 when new) attract a higher tax rate than others. What is the case however is that motor fleets are now taxed by their emissions. The key figure for cars is 160g/km of carbon dioxide emissions, but if you take out a fleet which consists of vehicles that emit below 100g/km of emissions you won’t need to pay any road tax at all, which could lead to a serious saving. If you’re still unsure about what sort of fleet would be right for you it’s best to talk to a provider. The amount of flexibility that motor fleets offer is amazing, and you should be sure to try out a few ideas if you think they might be cost-effective for your business.